Dementia is a loss of cognitive ability particularly in old age. 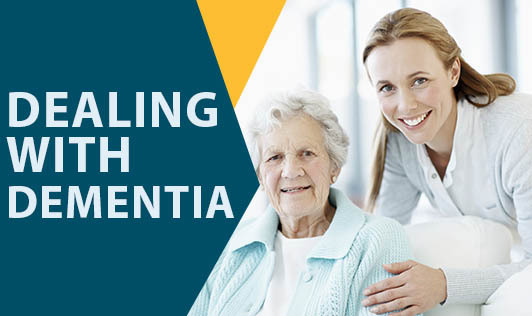 Dementia can affect memory, attention span, communication problems (speaking, reading or writing), language and problem solving abilities over a period of time. Though it begins with mild signs, affected persons can become quite disoriented as the condition progresses. A demented person can be confused, irritable or aggressive, experience mood swings and generally withdraw from people. But do not mistake every form of memory loss for dementia. Memory loss can be a sign of aging or a result of stress or depression. If you are worried about your memory playing truant, it’s a good idea to meet your doctor. Since the cause for dementia is not yet certain, dementia does not have a cure yet. Research is on to find out the dementia-genetic connection. Although there are no confirmed preventive processes for dementia, general guidelines that scientists agree on are mental stimulation, physical activity and good nutrition. These guidelines work well for management of dementia too. It’s important to keep them as fit and healthy as you can. Give them adequately nutritious meals. Do not allow them to overeat – this can happen due to loss of memory. Check their oral hygiene and eyesight regularly. Keep their finger and toe nails clipped. Help them bathe and wash regularly. It’s also good to change their clothes everyday. Assist them to walk around as much as they can. Be flexible with their routine. Look for physical or physiological changes, and if you see anything different, speak with the doctor. Stay calm even though they might drive you up the wall. Talk to a friend – this can help to relax you, because a care-giver can get quite stressed.